Some people think that if you are not in favor of more gun control after the terrible shootings in Las Vegas, then you don't have any sympathy for the families of those who were killed or those people who were wounded. Please read my comments in the THOUGHTS FOR THE WEEK section, near the end of this newsletter. Extreme Networks (NASDAQ: EXTR) — facing a delay in its acquisition of the data center networking business of Brocade Communications (NASDAQ:BRCD) from Broadcom (AVGO -0.3%) — will now acquire the business directly from Brocade. Extreme shares have jumped out of the open, up 5.6%. Brocade has moved up 1.2%. The new deal is at substantially the same terms as the previous deal. 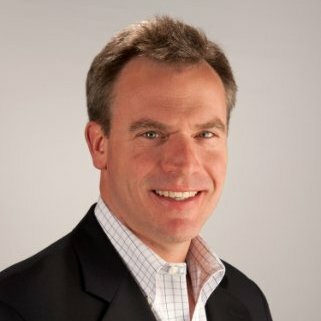 Extreme had expected to close its part of the deal within 2-3 days of a completed Broadcom/Brocade deal, which the companies expected to close during Brocade's Q4. Brocade and Broadcom have extended their agreement and expect the acquisition to be completed by Nov. 30 (subject to CFIUS clearance). “We expect this agreement directly with Brocade to accelerate our ability to close our acquisition of the data center business,” says Extreme CEO Ed Meyercord. The company still expects the deal to be accretive to cash flow and earnings for fiscal 2018 and forecasts more than $230M in annualized revenue from the new assets. Even after years of speculation, the iPhone was a revelation. No one had seen anything like it: here was a communication device, music player, and personal computer that you could hold in the palm of your hand. 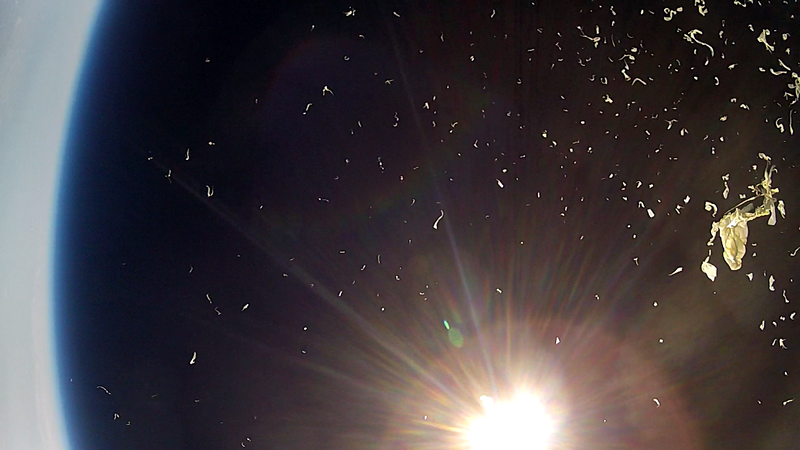 The media hailed it as trailblazing, almost magical. 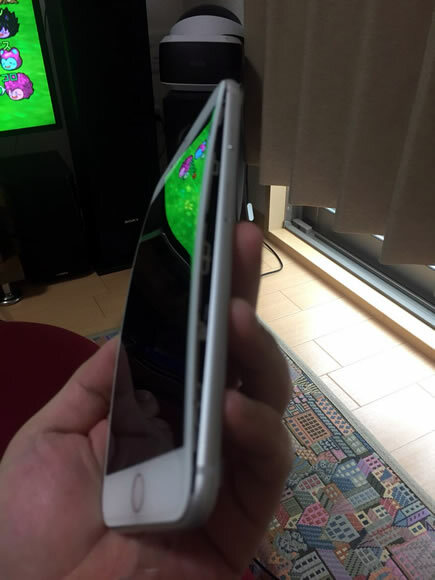 Bloggers called it the “Jesus phone.” The introduction of the iPhone was characteristic of great innovations: they come at us unexpectedly, with novelty that seems to have come from nowhere. But, despite appearances, innovations don’t come from nowhere. But, despite appearances, innovations don’t come from nowhere. They are the latest branches on the family tree of invention. Research scientist Bill Buxton has curated a collection of technological devices for decades, and he can lay out the long genealogy of DNA that has forged a path to our modern gadgets. Consider the Casio AT-550-7 wristwatch from 1984: it featured a touchscreen that allowed the user to finger-swipe digits directly onto the watch face. Ten years later—and still thirteen years before the iPhone—IBM added a touchscreen to a mobile phone. 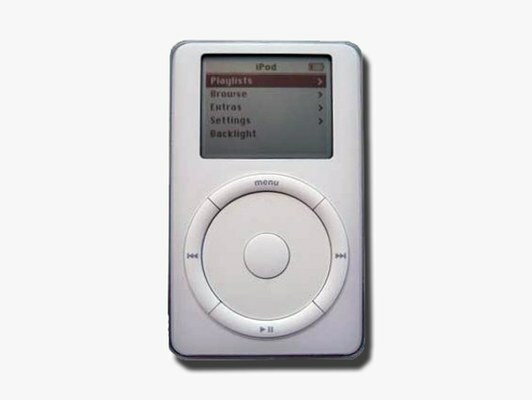 Twenty-two years after Kramer’s idea, Apple debuted the iPod. 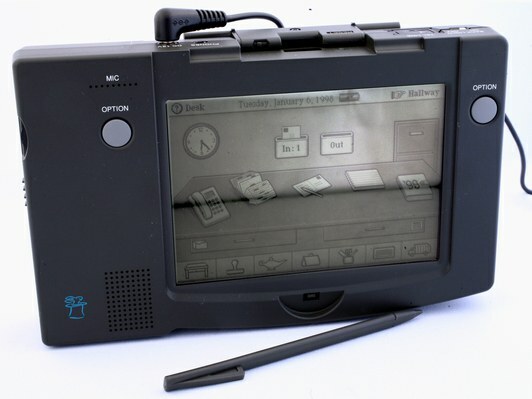 Four years after the Simon came the Data Rover 840, a personal digital assistant that had a touchscreen navigated in 3-D by a stylus. 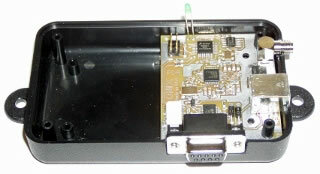 Contact lists could be stored on a memory chip and carried around anywhere. Mobile computing was gaining its footing. 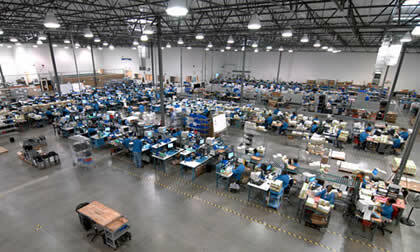 Step by step, the groundwork was being laid for Steve Jobs’ “revolutionary” product. 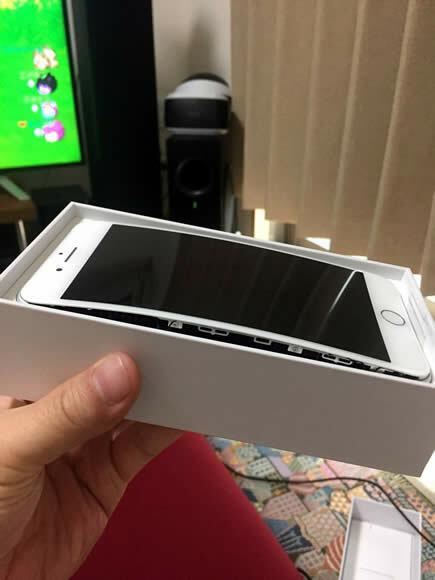 The Jesus phone didn’t come from a virgin birth after all. A few years after Jobs’ announcement, the writer Steve Cichon bought a stack of timeworn Buffalo News newspapers from 1991. He wanted to satisfy his curiosity about what had changed. 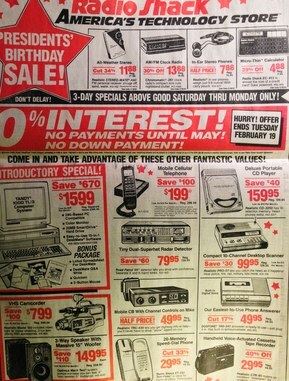 In the front section, he found this Radio Shack advertisement. Cichon had a revelation: every item on the page had been replaced by the iPhone in his pocket. Just two decades earlier, a buyer would have spent $3,054.82 for all this hardware; they were now taken care of by a five-ounce device at a fraction of the cost and material. The ad was a picture of the iPhone’s genealogy. Groundbreaking technologies don’t appear from nowhere—they result from inventors “riffing on the best ideas of their heroes,” as Buxton observes. He likens Jonathan Ive, the designer of the iPhone, to a musician such as Jimi Hendrix, who often “quoted” other musicians in his compositions. “If you know the history and pay attention to it, you appreciate Jimi Hendrix all the more,” Buxton says. Anthony Brandt is a composer and professor at Rice University’s Shepherd School of Music. David Eagleman is a neuroscientist and the New York Times bestselling author of Incognito: The Secret Lives of the Brain. He is the writer and host of the Emmy-nominated PBS television series The Brain. Like diamonds, creativity results from pressing history into brilliant new forms. Consider another of Apple’s breakthroughs: the iPod. In the 1970s, piracy was a major issue in the record industry. Retailers could return unsold albums to a record company for a refund; many took advantage of this to send back counterfeit copies instead. In one case, two million copies of Olivia Newton-John’s album Physical were printed, and in spite of the album topping the charts, an astounding three million copies were returned. To stop the rampant fraud, British inventor Kane Kramer came up with an idea. He would develop a method to transmit music digitally across phone lines, and an in-store machine would custom-print each album. But then it occurred to Kramer that a cumbersome machine might be an unnecessary step. Instead of producing an analog record, why not keep the music digital and design a portable machine that could play it? 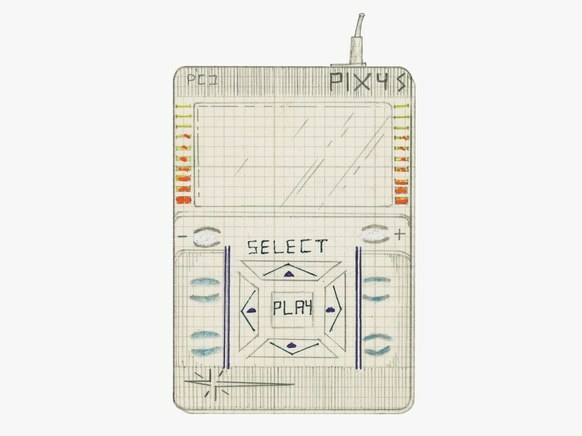 He developed the schematics for a portable digital music player, the IXI. It had a display screen and buttons for playing the tracks. Kramer not only designed the player, he foresaw a whole new way of selling and sharing digital music with unlimited inventory and no need for warehouses. Paul McCartney was one of his first investors. The main drawback of Kramer’s music player was that, given the hardware available at the time, it only had enough memory to hold one song. 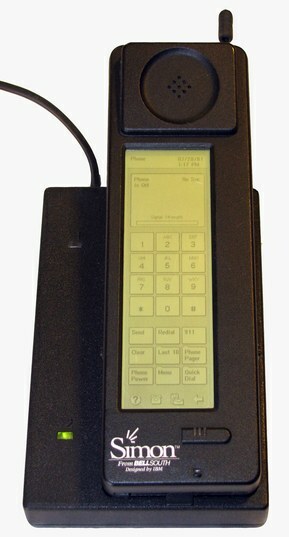 Seizing on Kramer’s promising idea, Apple Computer’s engineers incorporated a scroll wheel, sleeker materials, and, of course, more advanced memory and software. In 2001—twenty-two years after Kramer’s idea—they debuted the iPod. Kramer’s idea did not come out of nowhere, either. It followed in the footsteps of the Sony Walkman, a portable cassette player. The Walkman was made possible by the invention of the cassette tape in 1963, which was itself made possible by reel-to-reel tapes in 1924, and so on back through history, everything emerging from the ecosystem of innovations before it. 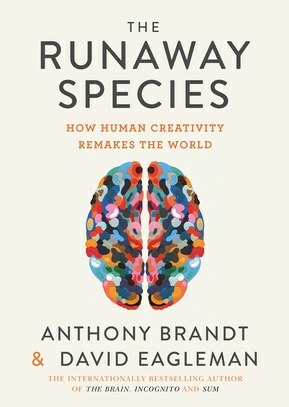 From The Runaway Species: How Human Creativity Remakes the World. Used with permission of Catapult. Copyright 2017 by Anthony Brandt and David Eagleman. Some Macworld readers are concerned about upgrading to macOS High Sierra, which offers the new APFS (Apple File System) that replaces the nearly 20-year-old HFS+ file system. APFS offers a lot of advantages for SSD performance and durability, as well as encryption for any type of drive. But it’s not backwards compatible with older versions of OS X or macOS. This shouldn’t be a problem, because it’s unnoticeable, but it might be a reason for you to delay moving to High Sierra if you have an SSD boot partition and want to make sure no APFS issues emerge for other people. It’s rarely a bad idea to wait for macOS 10.X.1 or even 10.X.2. 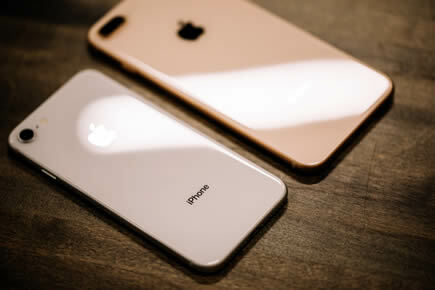 Apple isn’t automatically upgrading Fusion drives, the combination of SSD and hard disk drive (HDD) that it’s popularized for higher-capacity systems, because SSDs remain quite expensive above 512GB. Apple hasn’t said exactly when a Fusion APFS upgrade will be ready. However, we expect that because there’s no upgrade choice for APFS with High Sierra, the Fusion upgrade will also be mandatory when it ships. If you want to upgrade an external SSD to APFS, you can do so via Disk Utility. Disk Utility also supports external hard drive conversion, but there’s no advantage, so I’d recommend against it at this time. Choose Edit > Convert to APFS. Click Convert at the prompt. A progress bar appears. Click Done when completed. 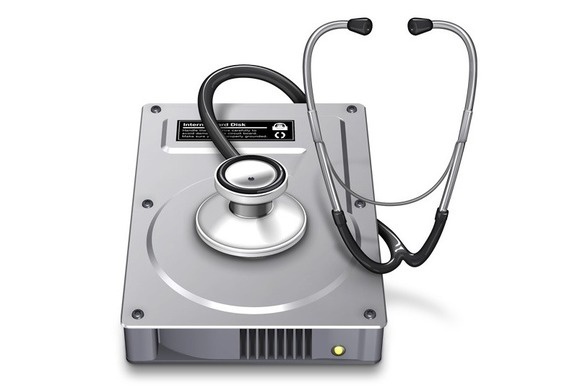 If Apple doesn’t require an APFS upgrade for Fusion drives, you should have the option to upgrade later, which would simply require booting into the Recovery Disk on your Mac (restart and then hold down Command-R) and launching Disk Utility from there, and then following steps 2 to 5 above. However, I’d recommend holding off converting even qualified external drives that you don’t use for booting a Mac, as you won’t see enough of an advantage, while losing backwards compatibility with macOS prior to Sierra, which is the only previous release that can read and write to APFS volumes. Note: An earlier version of this article relied on a feature only available in late beta to choose whether to upgrade an SSD boot volume to APFS. The article has been updated to remove that error. Our apologies. 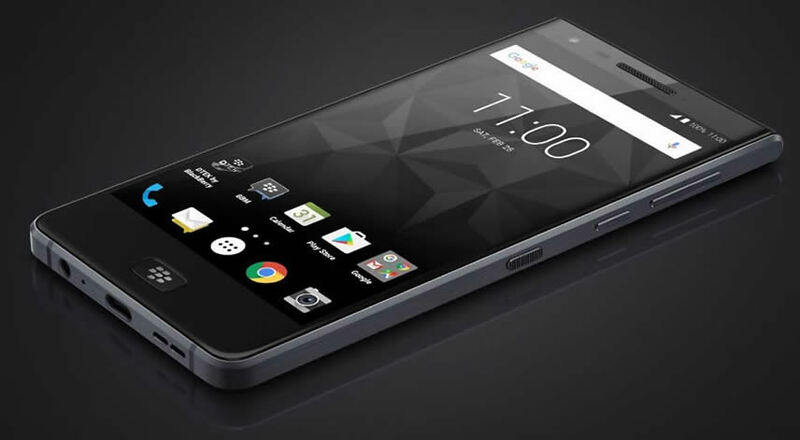 Industry insider, Roland Quandt, is claiming that the BlackBerry Motion will be available on three major carriers in the United States. Verizon, AT&T, and Sprint will sell the handset, according to the rumor, although the rumor does not specify when the device will actually be launched by the carriers. In comparison, the BlackBerry KEYone is currently available on Sprint and AT&T but it took several months before the device arrived in the carrier’s stores. Mr. Quandt also mentioned that aside from China, the dual SIM variant of the BlackBerry Motion will be sold in a number of countries, although he did not mention which markets exactly will receive the unit. The insider also noted in another tweet that the upcoming handset will run the same ROM as the BlackBerry KEYone, albeit it will be modified to accommodate the lack of physical keyboard. BlackBerry Motion has been leaked recently in a tweet by @evleaks, and it seems that the device will be a successor to the BlackBerry DTEK60, well, sort of. The BlackBerry Motion’s display will likely have an aspect ratio of 16:9, and below it is a physical home button that contains the logo of the Canadian smartphone company. A fingerprint scanner is likely embedded in the home button. 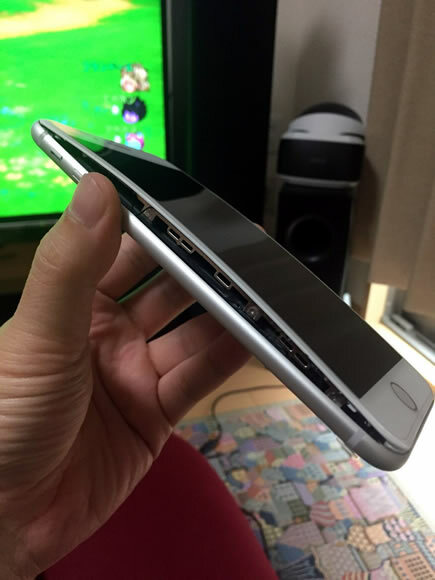 At the bottom part of the handset, a USB type-C port, a 3.5mm headphone jack, and loudspeaker can be found. 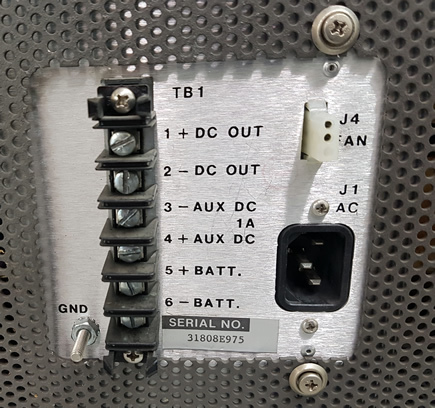 The right side of the device will contain three buttons, which will likely be the power button, volume rocker, and the convenience key, that is primarily used for jumping across different applications quickly. The software features of the two smartphones will likely be the same since both the BlackBerry Motion and the BlackBerry KEYone will likely run the same ROM, aside from features that were exclusive to a physical QWERTY keyboard that the Motion does not sport. The device’s skin will be somewhat similar to stock Android, though do keep in mind that stock Android will not be present here, the BlackBerry Motion will ship with BlackBerry’s very own skin, just like the BlackBerry KEYone. The BlackBerry Hub, which comes pre-installed with the KEYone, will likely be present with the upcoming handset. 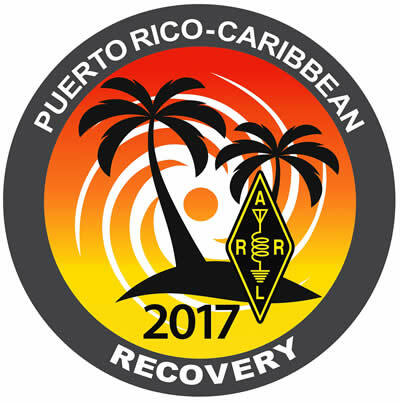 The Amateur Radio volunteers who deployed as American Red Cross volunteers to Puerto Rico as part of the “Force of 50” this past weekend have been focusing their efforts where their help is most needed. 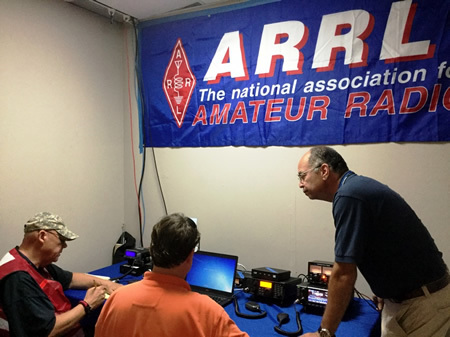 ARRL CEO Tom Gallagher, NY2RF, said the volunteers, in general, will provide communications for local law enforcement and utility managers, island-to-mainland health-and-welfare traffic, and contact with the island's more remote areas. 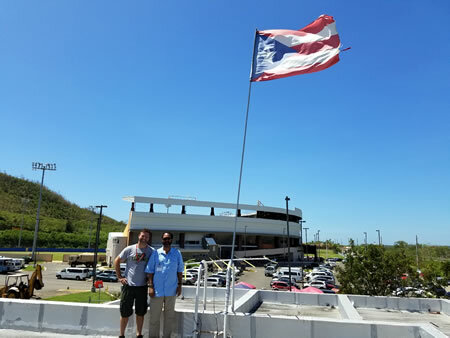 ARRL Puerto Rico Section Manager Oscar Resto, KP4RF (right), works with two new "Force of 50" volunteers at Red Cross Headquarters in San Juan. A local radio amateur was recruited to handle hospital communications at Centro Medico. “This is the main hospital on the island and needs communication to handle transfers from the other hospitals and medical centers,” she said. 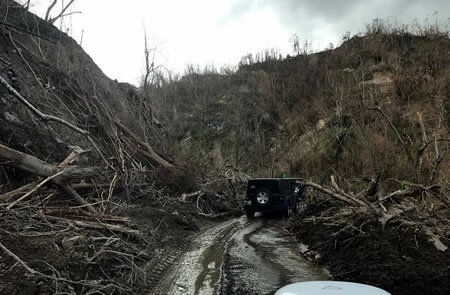 The Puerto Rico team has begun checking with hospitals to see which ones have telephone service, before dispatching additional operators. They didn't have an antenna that would offer sufficient range, so they improvised, fashioning a “tape measure” five-element Yagi, using supplies from a local hardware store and a coax jumper from their extra HF radio. “We installed everything and made contact with N5TGL and N0CSM, who are 50 miles away, [using] the repeater between us,” they said. In the aftermath of Hurricane Maria, Puerto Ricans are “exasperated” by the patchy cell service of AT&T Inc, T-Mobile US Inc, and Sprint Corp. That’s why many were turning to Claro Puerto Rico, a subsidiary of America Movil owned by Mexican billionaire Carlos Slim, Reuters reported on Monday. Eleven days after Maria hit, Claro, the island’s number two cellular operator, had restored service to approximately 310,000 customers. Claro prepared prior to the storm with power generators, diesel, batteries, and vehicles ready 72 hours before Maria struck, according to the account. 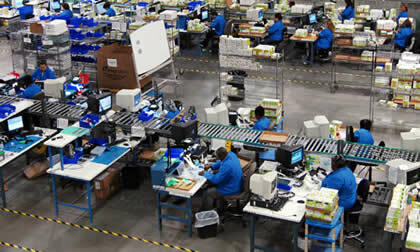 U.S.-based carriers also pre-staged equipment too, and have been shipping supplies on planes and ships. 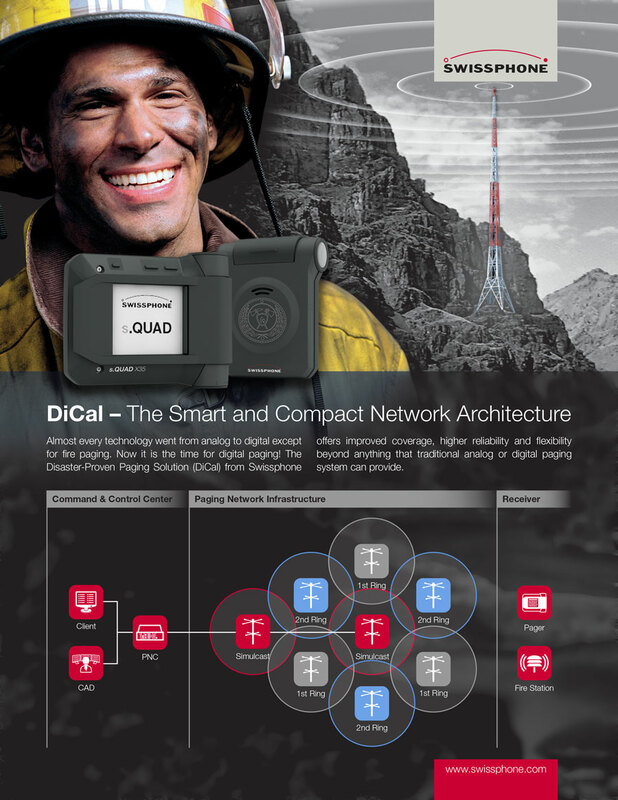 Carriers are coordinating service restoration efforts and opening their networks to each other’s customers, activating a roaming service so people can connect to whatever network is available. AT&T, which has 36 percent of the island’s active wireless customers, according to the account, stated Thursday its temporary cell sites were carrying nine million calls and five million texts per day. Sprint said its towers are “largely intact,” Inside Towers reported. 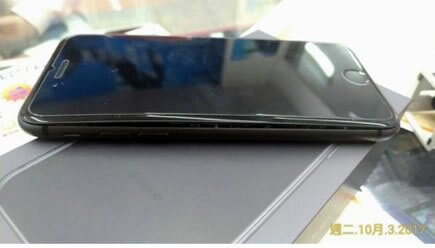 T-Mobile is making progress with repairs and service but noted that “it’s going to be a long road to recovery.” Verizon does not have its own network in Puerto Rico, providing service through a roaming agreement with Claro, reported Reuters. 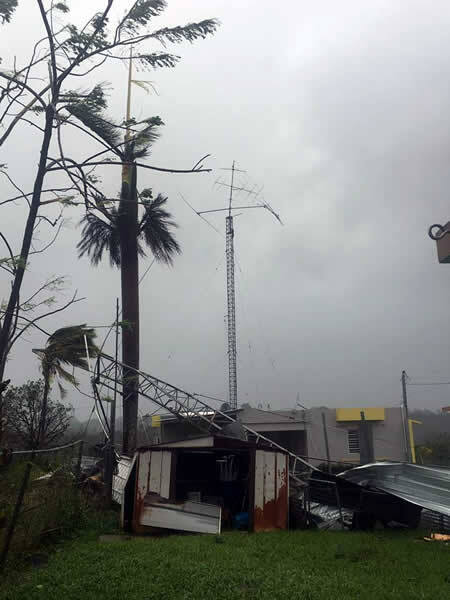 The FCC reported 84.6 percent of cell sites in Puerto Rico were out of service as of Thursday morning. That compares to 88.3 percent as of Monday. The island’s mostly destroyed power grid is a big part of the problem. 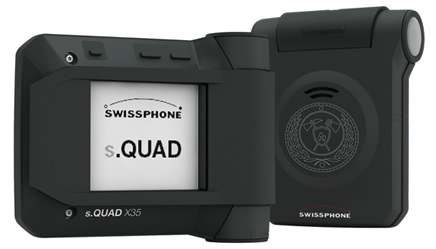 All entities that provide 911, E911, or NG911 capabilities directly to a public safety answering point (PSAP), statewide default answering point, or appropriate local emergency authority, or that operate one or more central offices that directly serve a PSAP, are required certify that they have taken reasonable measures to provide reliable 911 service with respect to three substantive requirements: (i) 911 circuit diversity; (ii) central office backup power; and (iii) diverse network monitoring. This certification must be made through the FCC’s web portal by October 16. Each summary above contains a link to the draft text of each item, including a one-page cover sheet. As always, Open Meetings are streamed live at www.fcc.gov/live and can be followed on social media with #OpenMtgFCC. On October 2, BloostonLaw filed comments to the FCC’s Further Notice of Proposed Rulemaking (“FNPRM”) in connection with the FCC’s proposal to establish additional construction and/or service requirements for wireless licensees at each ensuing license renewal. In brief, the BloostonLaw submitted that while additional buildout and take back requirements may be appropriate for larger licenses, a different approach is required for licenses held by rural carriers who primarily serve rural America. 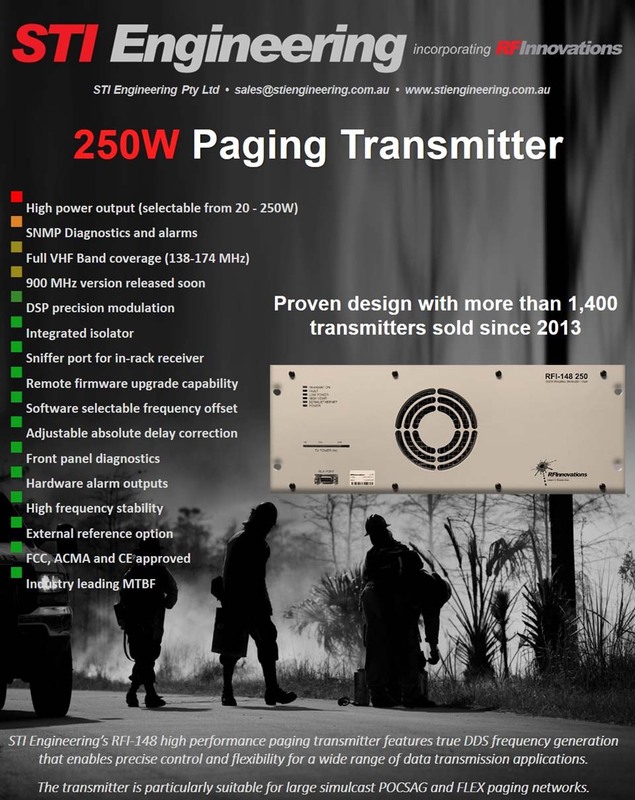 This is because unique factors in rural America, such as low population density, low priority in the equipment distribution chain, significantly higher construction and backhaul costs, and other factors dictate a more reasonable approach. Unique considerations for private users dictate a more flexible approach as well. BloostonLaw pointed out that the FCC should not retroactively implement any additional construction and/or service requirements beyond that which was adopted in the underlying Second Report and Order. This is especially true for rural service providers and private user licensees. Doing so would impose undue financial burdens on these entities that were not previously contemplated as they developed their business plans prior to acquiring their licenses. Otherwise, the FCC may actually jeopardize their ability to provide service. For any licensees to which additional construction obligations ultimately apply, such requirements should be phased in at the end of the next full license term. If additional buildout obligations are not met, the consequence for rural service providers and private users should not be a loss of all or part of their license, but instead a requirement to negotiate in good faith if any entity wishes to lease or partition areas that remain unserved. If the FCC nonetheless decides to reclaim unserved areas, rural service providers should be able to exclude “ultra-rural” areas from any take-back process. 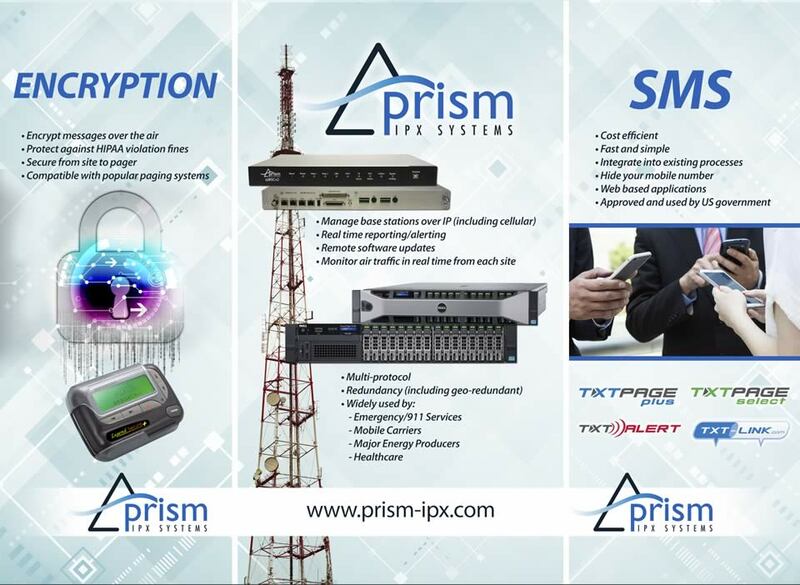 Similar considerations apply to private internal use operations using auctioned spectrum. Further, any measures to reclaim spectrum should not result in the outright cancellation of licenses if a bona fide service is being provided to the public or if the licenses is being used to meet private internal communications needs. To the extent that unserved areas are reclaimed, such process should leave the incumbent an adequate buffer so that they do not have to curtail service in order to protect new licensees. BloostonLaw is currently reviewing the comments that were filed by other interested parties in this proceeding. Reply comments will be due Monday, October 16, 2017. On September U.S. Senators Debbie Stabenow (D-MI), Jon Tester (D-MT), Joe Manchin (D-WV), and Ed Markey (D-MA) joined U.S. Representatives Cheri Bustos (IL-17), Terri Sewell (AL-07), Rick Nolan (MN-08), and Ann Kuster (NH-02) in introducing a component of their “Better Deal” agenda relating to broadband funding. The “Universal High-Speed Internet” agenda item “proposes to bring high-speed, affordable internet to every American by investing $40 billion in federal dollars to build the kind of broadband infrastructure that will finally connect communities that have been left behind by the big internet service providers.” According to the press release, the plan would also “upgrade the nation’s critical safety infrastructure and create accurate maps of areas that lack adequate internet access in order to ensure rural Americans are not left out.” Proponents of the agenda stated that they will fight for this funding in any infrastructure or appropriations package moving in 2017 or 2018. Provide Direct Federal Support for a Universal Internet Grant Program to Close the ‘Last Mile’ Gap: These new funds would be used to bring high-speed internet infrastructure to areas most in need of quality, affordable service. Support would be distributed on a technology- and provider-neutral basis, and would be designed to secure high-speed internet at levels sufficient for the 21st Century in the most efficient and cost effective means possible. The program would also have broad eligibility so that partners like rural co-ops, local governments, or other alternative entities could compete on an equal playing field with private sector providers. Create Accurate Maps of Areas that Lack Adequate Internet Access: Funding would go toward complete and reliable service maps that accurately represent the real-world consumer experience. Deliver Internet Speeds Needed to Compete in the 21st Century: Speed requirements would be forward-looking, and funding would only go toward modern speeds. Upgrade the Nation’s Critical Safety Infrastructure: Grants would be made available to states and localities to upgrade critical public safety infrastructure, and implement Next Generation 9-1-1. The “Better Deal” agenda is a take on President Roosevelt’s New Deal, which included the 1936 Rural Electrification Act. An official summary of the “Universal High Speed Internet” item can be found here. On September 28, the FCC issued a Public Notice reminding video programming distributors (VPDs) – including broadcasters, cable operators, satellite television services, and “any other distributor of video programming for residential reception that delivers such programming directly to the home” – of their obligation under section 79.2 of the Commission’s rules to make televised emergency information accessible to persons with disabilities. Unlike the closed captioning obligations contained in section 79.1 of the rules, there are no exemptions to the emergency information requirement. The rules require different methods of ensuring access for different types of disabilities, such as the blind or visually impaired; the deaf or hard of hearing; and those with cognitive disabilities. VPDs with questions about meeting this requirement should contact the firm for more information. 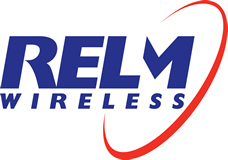 On September 27, the BloostonLaw Telecom Update incorrectly reported that the comments for (i) the FCC’s Public Notice seeking comment on further reform to intercarrier compensation regimes, and (ii) the FCC’s Notice of Proposed Rulemaking on “creating a uniform set of procedural rules for certain formal complaint proceedings delegated to the Enforcement Bureau and currently handled by its Market Disputes Resolution Division and Telecommunications Consumers Division are due on October 28. The correct deadline for the Public Notice and the Notice of Proposed Rulemaking is October 26. 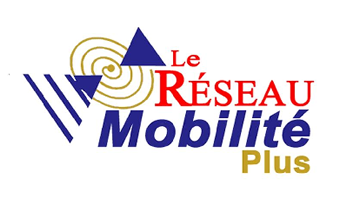 The Public Notice invites interested parties to update the record on (1) the network edge for traffic that interconnects with the Public Switched Telephone Network, (2) tandem switching and transport, and (3) transit (the non-access traffic functional equivalent of tandem switching and transport). The NPRM proposes to streamline and consolidate the procedural rules governing formal complaints filed under Section 208; pole attachment complaints filed under Section 224; and formal advanced communications services and equipment complaints filed under Sections 255, 716, and 718 (Disability Access complaints). Carriers interested in participating in either proceeding should contact the firm for more information. On September 1, 2017, the FCC released an Order postponing the opening of the 2017 biennial filing window and extending the 2017 biennial filing deadline for the submission of broadcast ownership reports on FCC Form 323 (Ownership Report for Commercial Broadcast Stations) and FCC Form 323-E (Ownership Report for Noncommercial Broadcast Stations). Pursuant to that Order, the Bureau will begin accepting 2017 biennial ownership reports on Form 323 (commercial stations) and Form 323-E (noncommercial stations) on December 1, 2017. Broadcast licensees and other entities required to file biennial ownership reports on Form 323 or Form 323-E must file their 2017 reports by March 2, 2018. These reports must provide information current as of October 1, 2017. Beginning with the 2017 biennial filing window, all licensees of AM, FM, TV, Class A, and Low Power Television (LPTV) stations and entities with attributable interests in such stations must complete and submit biennial ownership reports on the revised versions of Forms 323 and 323-E in the FCC’s Licensing and Management System (LMS). More filing guidance will be available at a later date. At this time, licensees and other entities must continue to submit required non-biennial ownership reports on the existing versions of Forms 323 and 323-E in the Consolidated Database System (CDBS) as these reports become due. The Bureau will announce when licensees and other entities must begin submitting non-biennial ownership reports on the LMS versions of Form 323 and Form 323-E.
On September 28, the FCC’s Media Bureau issued a Public Notice initiating its review of the marketplace for channel navigation devices with accessible user interfaces and program guides and menus, to determine whether the December 20, 2018 compliance deadline for mid-sized and smaller multichannel video programming distributors (MVPDs) should be retained or extended. Comments are due October 30, and reply comments are due November 13. Under the FCC’s 2013 Order adopting rules to implement the Twenty-First Century Communications and Video Accessibility Act (CVAA), MVPDs that lease or sell navigation devices, among others, are responsible for ensuring that on-screen text menus and guides provided by set-top boxes and other such devices for the display or selection of multichannel video programming must be audibly accessible in real time upon request by individuals who are blind or visually impaired, if achievable. In addition, navigation devices with built-in closed captioning capability must include a mechanism that is reasonably comparable to a button, key, or icon for activating the closed captioning. MVPDs are also required to ensure that individuals with disabilities are aware of the availability of accessible navigation devices and have ready access to information and support that will allow them to operate such devices. The deadline to meet these requirements was originally December 2016, but the FCC moved it back for mid-sized or smaller MVPDs until December 2018. The instant Public Notice seeks comment on whether further extension is warranted. On September 27, the FCC released its Twentieth Report and Analysis of the competitive market conditions with respect to mobile wireless, including commercial mobile services. According to the Report, the FCC did not conduct a full market definition or market power analysis, but rather “consider[ed] a number of facts and characteristics of the provision of mobile wireless services,” which the FCC concluded indicate effective competition. The report also finds that as of December 2016, approximately 98 percent of the population living in non-rural areas was covered by at least four service providers, while only approximately 70 percent of the population living in rural areas was covered by at least four service providers. AT&T covered approximately 97 percent, Verizon Wireless covered approximately 93 percent, T-Mobile covered approximately 79 percent, and Sprint covered approximately 64 percent of the rural population with wireless service. Only approximately 57 percent of the rural population was covered by at least four LTE service providers. A full copy of the 95 page report can be found here. 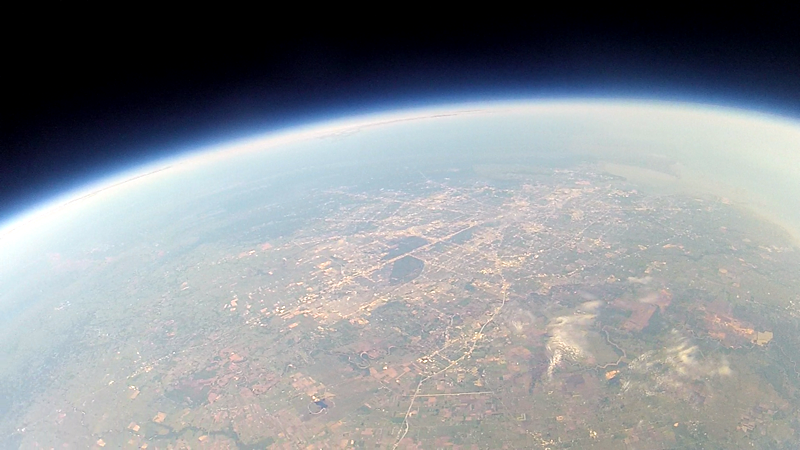 Brad here are some pictures taken from 96,000 ft from a balloon launched by a bunch of hams in far SW Texas looking NW. I had solid copy on the balloon 65 miles away and worked many stations on the 440/144 repeater with my hand held attached to a beam. Great news magazine, interesting articles, etc. 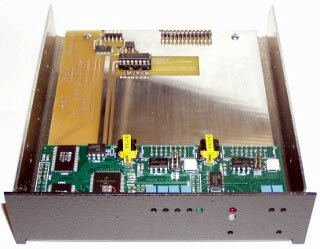 Now, our ham club is looking for 1 or 2 Midland VHF 91-3050 "A" repeaters. 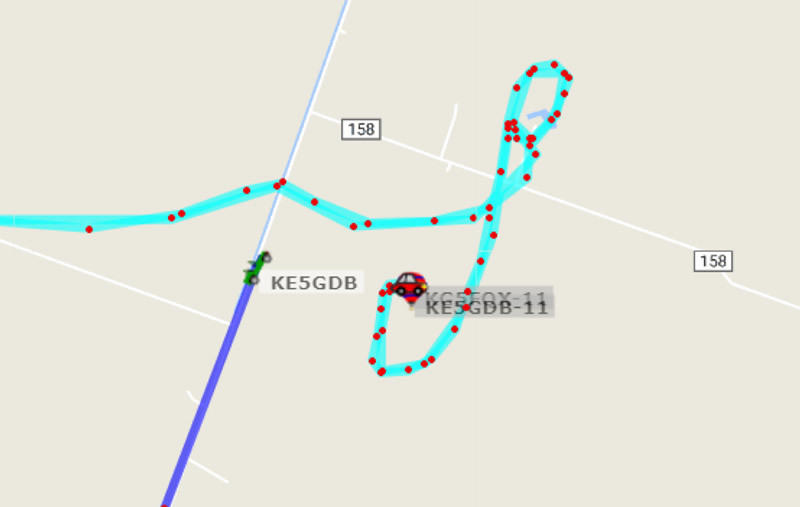 The club has access to a tower, at 1800 feet, located within an antenna farm in Cedar Hill, TX. 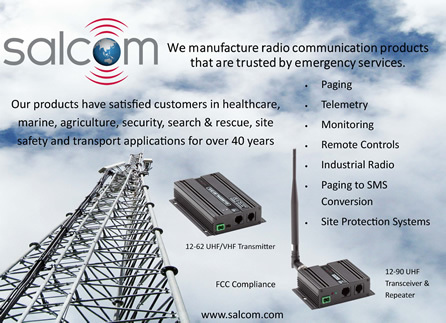 There are lots of VHF Digital, FM broadcast and paging in the area. Are there any of your readers who might help us? My heart goes out to the friends, families, and witnesses of the terrible killings in Las Vegas that took place this week. Horrible events like this will have life-long effects on everyone involved. Words cannot adequately express the depth of pain being experienced or the intensity of the emotions felt by all the people that this tragedy has impacted. When physical pain has passed and the body has healed, we can remember the pain but it doesn’t hurt us again. But physic pain is different. Long after the event that caused it, the memory can resurface and cause as much (or even more) pain than when it first happened. When I saw my brother accidentally kill himself with a rifle while we were hunting together 48 years ago, I had to reevaluate my beliefs about gun ownership. My brother and I were taught to hunt by our father who was taught to hunt by his father, and he by his father, etc. We were taught gun safety—to be very careful—but the accident happened anyway. He had even taken a firearm-safety course. My conclusion then was—and to this day continues to be—that accidents can happen and taking a stand against gun control would be just as senseless as taking a stand against automobiles since many people die each year in traffic accidents. I still drive and I still own a gun. How many people are killed by guns each year in the US? My brother-in-law is a doctor and my sister is a nurse. They are both retired now and I am sure that they were outstanding in their abilities and in their care of patients. Please don't misunderstand me. 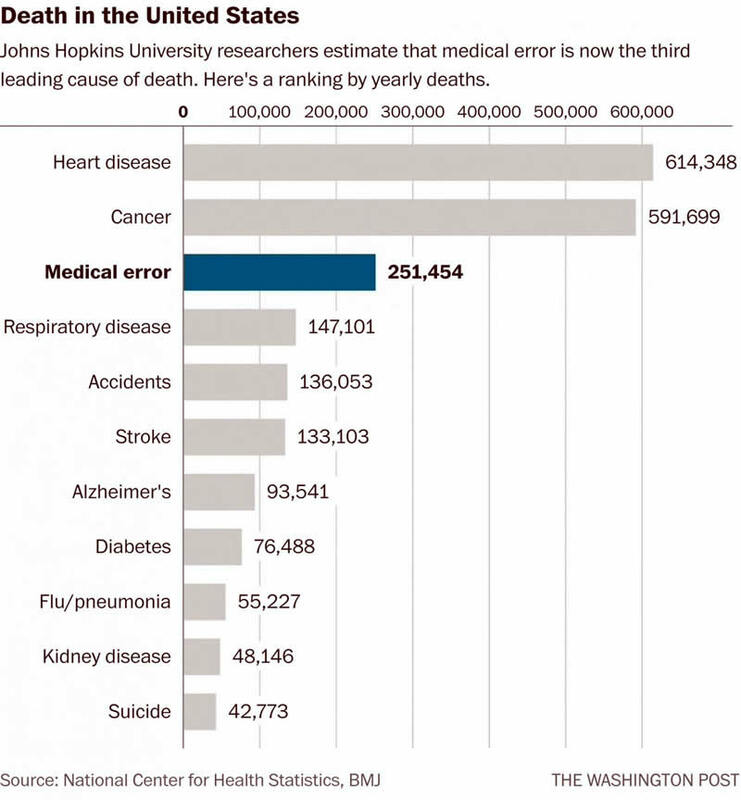 I know that most of our medical professionals are very good—but not all of them! I am just trying to point out that guns are not the cause of these killings. If you could eliminate all the firearms in the USA in the blink of an eye, the crazies would start using bows and arrows, eliminate those weapons and they would go back to knives and swords. Take the knives and swords away and they would use rocks! Remember Cain and Abel? I understand the emotions involved as well as anyone. This is unforgettable sorrow. These mass murders make me feel physically sick. Everyone is entitled to their own opinion and this is mine. 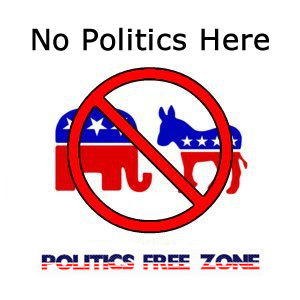 I don't consider my comments to be political since neither US political party is in complete agreement on the issue of gun control. 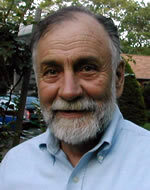 Bradley F. Dye, October 2, 2017.